Now more than ever, home security is not only a necessity, but is also readily available regardless of your budget. 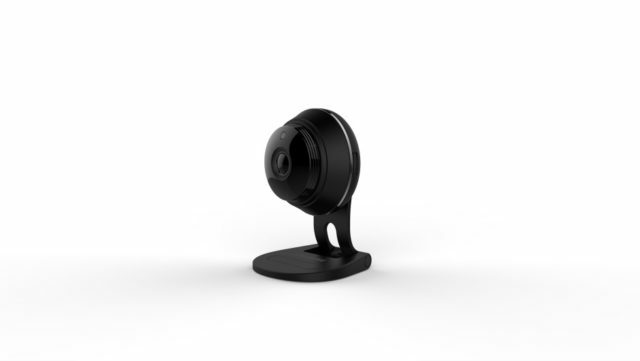 With Samsung’s SmartCam HD Plus, the popular tech brand is giving consumers access to both daytime and nighttime monitoring, with several unique qualities that are lacking at similar price points. However, while the hardware itself works relatively well, the software is what makes this less user friendly than desired. From Canary to Nest, many home security brands put a heavy focus on usability and user experience, which is where Samsung hits a weak point. 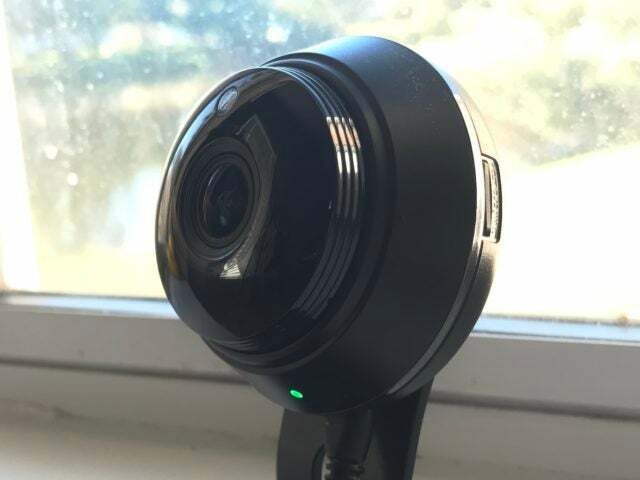 Regardless, this is a quality camera that will easily allow you to keep an eye on anything with an internet connection, with the unit indoors. In addition, the company rolled out several cloud subscription options earlier this year. Although this particular offering is not new, it makes this device even more appealing for those who found the local memory to be limiting. We tested the Samsung SmartCam HD Plus over a few months, using it while out of town, at work, and even during the recent Hurricane Matthew. Throughout each, we were able to keep an eye on things (at least until the power went out). Setting up the SmartCam HD Plus itself is incredibly easy and only takes a few minutes. Between the app and the hardware, it’s a matter of finding the vantage point you’d like to keep an eye on, plugging the camera into a power source, and using the in-app walkthrough. For any IoT device, connectivity is always a concern. In a traditional one router setup, this particular camera had no issues connecting the SmartCam in any location in the home. The camera can support the current lineup of WIFI offerings, with the exception of wireless AC, which is only just starting to rollout. The night vision mode on the camera is relatively standard. It works best in entry points and only works for up to 32 feet, but if you have additional lighting in an area, this is extended a bit. Where the SmartCam stands out is the two-way audio. Most DIY security solutions at this price point don’t allow you to speak back through the hardware itself, which is a nice addition to the camera. It’s not the loudest speaker, but it does work. We used it mostly on our dogs to let them know we were watching, which in turn caused them to just bark at the camera a lot and freak out. They say hardware is only as good as the software behind it, and unfortunately for Samsung that is the case for the SmartCam HD Plus. 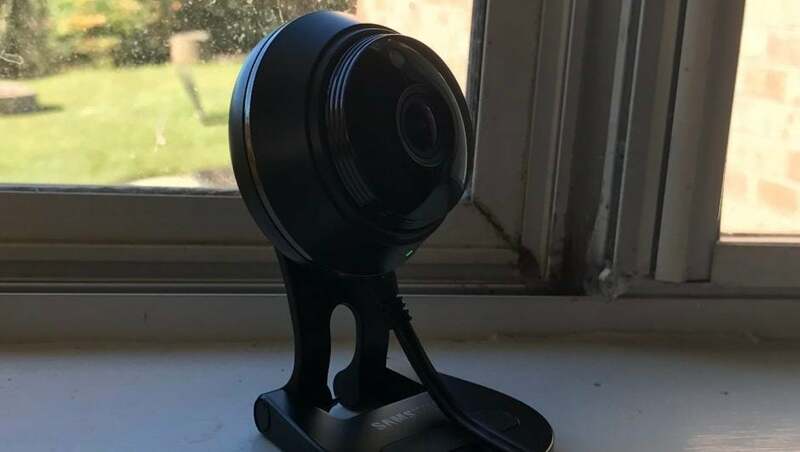 The camera itself looks very similar to the Nest, it’s built well, and the power cord has a solid distance, but it does have one weak point. It has some trouble staying on certain angles, but when mounted it reduces this issue. On the app side, that’s where things become a bit of a pain though. Security, whether it’s DIY or installed for you, has traditionally been less than intuitive. This passes along to the SmartCam app, which has a great deal of options, controls, and settings, which in turn also makes it a bit of a mess to navigate. The setup process is simple enough, but text is all over the place as far as font sizes go, settings are tucked away within each camera, and most of the icons are hard to decipher. For the most part, expect to have to play around with each option to see what it does. The manual will help as well, but we know you’re not going to read it. On the flipside, some competing offerings don’t have a web app to monitor the cameras, which luckily is not the case here. Besides the app’s ugliness, the system does work well and as intended. Should you buy the Samsung SmartCam HD Plus? For the price point and offering, yes. For Samsung, it’s clear by both design and pricing that this is their competing solution to Nest, albeit slightly undercutting them. Overall it does work well and it gets the job done. But unless you’re patient, you will likely become frustrated with the app. This does also allow for multi-camera system setups, just like competing solutions, but will save you quite a few dollars in the end. With the cloud offering, this does also make it a head-to-head competing offering. We give the Samsung SmartCam HD Plus a 4/5.